Here's a (particularly) small release to mark the start of 2007; it's the combination of a picture that Motion was working on, a tune that Odie had recently finished that was looking for a home and a spare piece of effect code (and a vague idea about fun things to do with the priority register) that T.M.R was trying to find a use for, all rolled neatly into one part and saturated with scrolltext for your reading pleasure... or perhaps pain if you don't like reading scrollers. 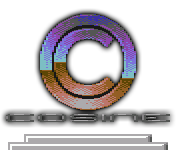 The music is a cover of a cover; the original tune Outer Space (which appears in Cyberwing as the titles music) was composed by Odie, then a spiffy remix was produced by Sonic Wanderer and this, finally, is an extended C64 cover of that mix once again by Odie that restores most of the bits that were omitted from the mix. Trivia: A paradigm is described as "an example serving as a model" and this is exactly that; an example of how to make a one part picture, scroll and music demo without quite making it boring. Have a close look at the scroller when the background effect is up to speed, it appears to tint the background as it passes over. Okay, not exactly Earth-shattering but T.M.R liked it...!